In a similar incident a few months ago in July, a 2-year-old boy named Guddu was left behind at Krishna Nagar Metro Station. On Sunday, Mr. Mohammad Jameel Ahmed resident of Azamgarh (Uttar Pradesh) along with his wife Mrs. Tanveer Dhaira and their beloved child were on their way to Mawaiya Metro station. At the station, they deboarded the train but their child was unfortunately left behind. As soon as they realized this, they informed the on-duty Station Controller who further informed about the incident to the supervisor of Transport Nagar Metro Station. After receiving the information the Transport Nagar Metro Staff immediately started an investigation and consequently Arif was recovered from platform number 2 at 6.35 in the evening. The child was then handed over to Station Controller of Transport Nagar Metro Station at 6.37 p.m. A few minutes later, around 6.50 p.m, Arif’s mother, Mrs. Tanveer Dyra reached Transport Nagar metro station, but she was not carrying any identity card. In accordance with the rules, it was necessary to establish the relationship between mother and son. Keeping this in view the on-duty supervisor and the child Arif accompanied by his mother Tanveer went to Charbagh Metro station where around 7.01 p.m. he was handed over to Station Controller of Charbagh metro station. After some time, Mr. Jameel Ahmad, father of Arif, arrived at the Charbagh metro station with necessary documents. After completion of formalities regarding identification, Arif was handed over to his parents at 7.35 p.m. Seeing their child safe and happy, the parents got emotional and thanked all the Metro staff. In a similar incident a few months ago in July, a 2-year-old boy named Guddu was left behind at Krishna Nagar Metro Station. He was safely reunited with his parents within half an hour due to timely and quick responsiveness of Metro staff. 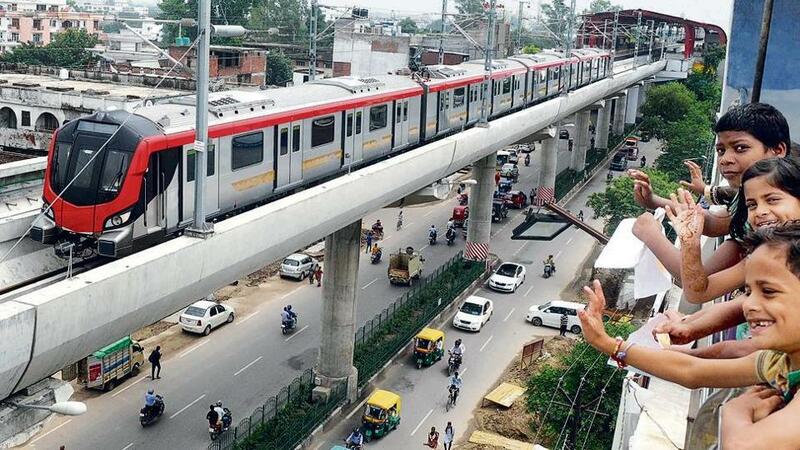 All these incidents prove the alertness, agility and high-security standards of Lucknow Metro and the sensitivity of Lucknow metro staff towards passengers.